Amanda Bynes made another bizarre comment on her Twitter page, blasting “ugly ex” Kid Cudi, and slamming Complex Magazine for putting an “awful” photo of Aubrey Plaza on their cover. “Stop acting like I’m doing something wrong,” Amanda Bynes starts in her post to the magazine. The men’s magazine recently posted an article titled, “Amanda Bynes Either Needs Help, Or Is Trolling Us All” about the bizarre video the oddball 27-year-old shared of herself “getting ready” for a night out. “I’m obsessed with myself on twitter. Also, my video last night was perfection,” she wrote. “I’m so sick of the articles u write about me. 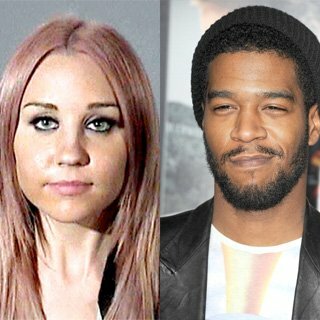 I want every fake article deleted,” Amanda Bynes continued, and went on to mention Kid Cudi, who is regularly covered by Complex Magazine. “Ur [bleep] whipped by my ugly ex who’s looks and talent have always been questionable to me, him being the ugly duckling that he is and all,” she wrote. She then boasts about her own musical ability compared to the Day ‘N’ Nite rapper, whose real name is Scott Mescudi. Incidentally, Complex Magazine made a 30-slide gallery of Amanda Bynes’ “Weirdest Tweets” in 2012.